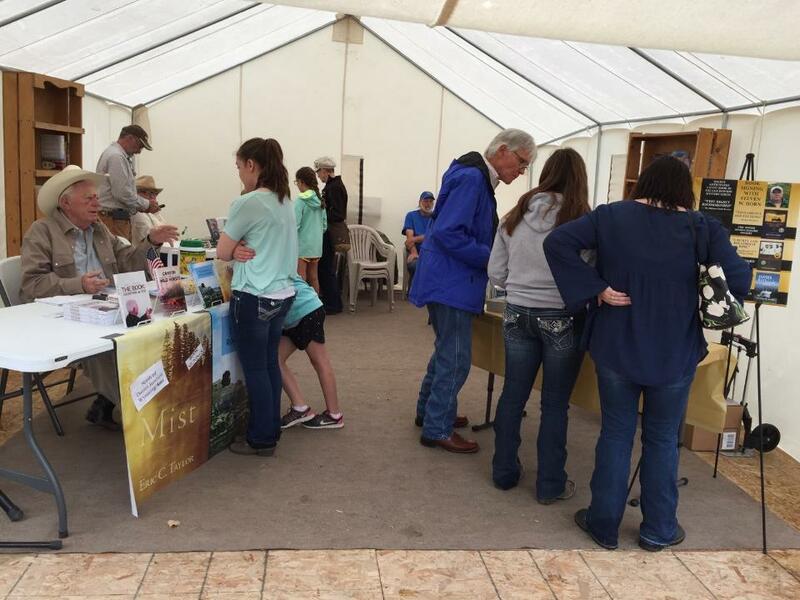 Even with rain during the multiple author book signing and readings, all stayed dried who came into the booth and it was a good book signing for the authors at the Wyoming State Fair. 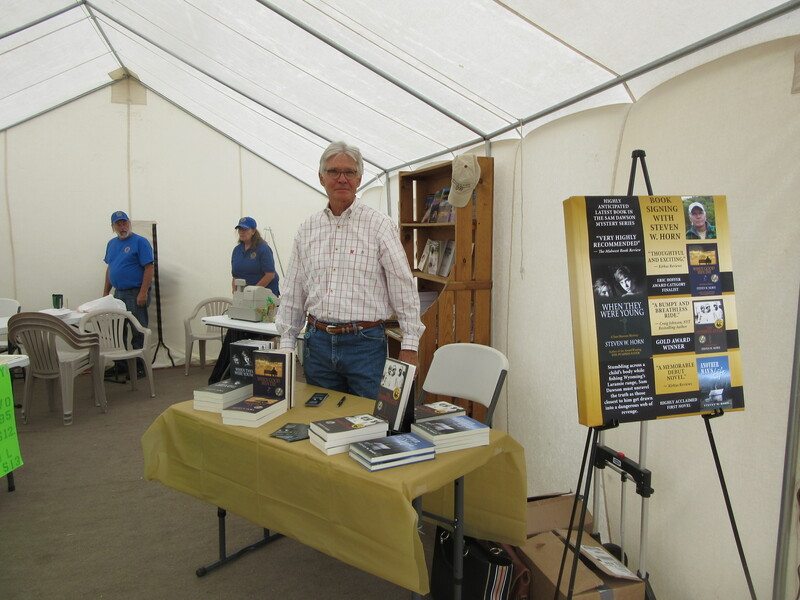 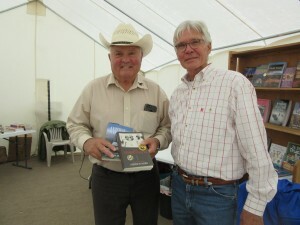 Author Steven W. Horn had a good time talking with those who came about his books at the Whistle-Stop Mercantile’ s booth at the Wyoming State Fair in Douglas, WY on Saturday, August 8. Thank you to Sue McBride for inviting Steven to your Wyoming Authors Roundup booth! Sue has Steve’s signed books at her store in Douglas at 200 S. 3rd.